While Apple CEO Tim Cook confirmed the Apple Watch will start shipping in April during the company’s first quarterly results call of the year, he didn’t say anything about the prices of different Apple Watch models, and the only thing we know about it so far is that the price of the entry-level model will be $349. Today, Daring Fireball’s John Gruber has shared his predictions on the product’s pricing, saying that the regular Apple Watch will come in at least five pricing tiers and that users will be paying a premium for advanced clasp mechanisms, and even more for the Link Bracelet. ‘It’s all about the bands”, Gruber says, noting that the spread between these tiers could be significant, ranging from say $700 for the entry model with the Sport Band, to well over $1,000 for the Link Bracelet. The average for the steel Apple Watch he says will be around $1,000, but depending on the strap, “you’ll pay several hundred less or more”. Regarding the Edition models, Gruber predicts they will start around $10,000. “If my hunch is right about bands and bracelets, the upper range could go to $20,000”, he says. So guys, which model of Apple Watch do you plan on picking up, and how much money are you willing to spend for it? 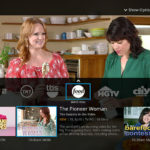 US’s $20-A-Month Sling TV Dish Service Coming to Canada?